Hi there! 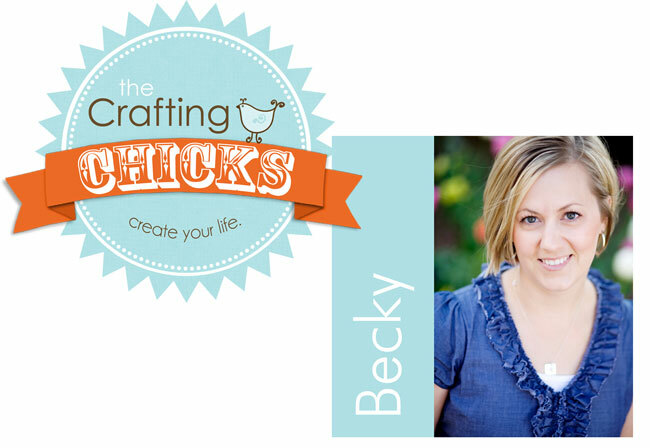 I’m Becky, one of the 5 Crafting Chicks. 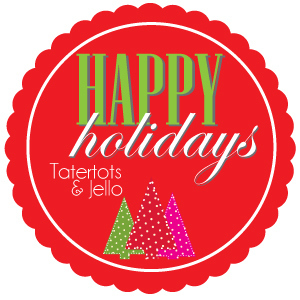 Super excited to be here to share some holiday inspiration. On The Crafting Chicks we love to share inspiration for life. You will find us doing anything from building furniture, trash to treasure goodness, sewing, and good old crafting. With five crafty gals you kinda get a little bit of everything. Today I wanted to share a new Christmas idea. Let’s call it the Santa Bag. The idea is that the bag comes to your home from Santa with a note that tells your kids to pack up all their broken or old toys and so Santa can fix them and clean them up for other boys and girls who don’t have as much to have. Genius huh! I’ve been thinking this one over since last Christmas. Never seems to fail that more and more toys come to stay but not as many leave through out the year. I’m hoping this helps. 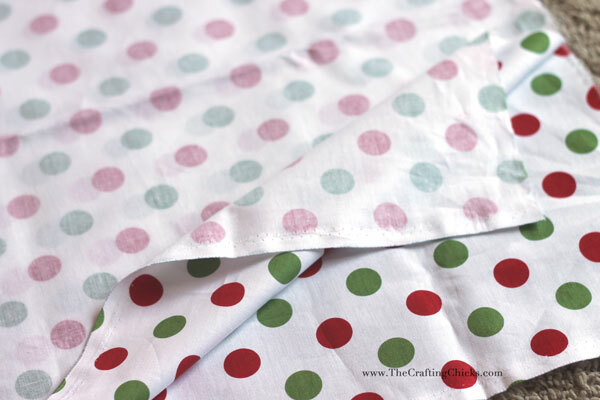 I used 2 yards of this great Medium Dots Christmas cotton fabric from Riley Blake Designs. 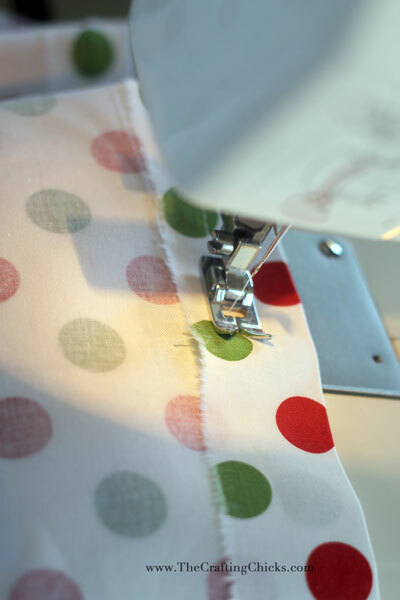 Measure in 1/2″ and iron the sides and tops in sides. Sew down each side about 1/4″ or so. 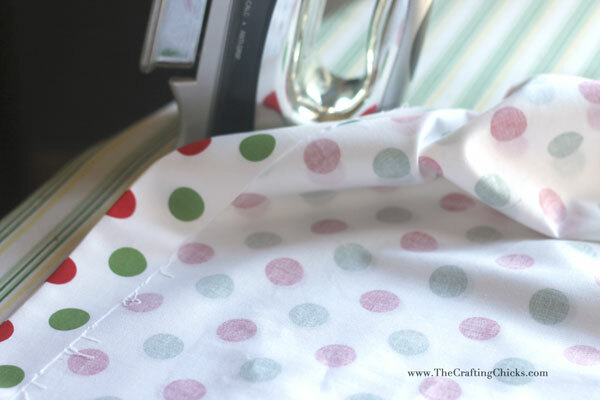 This will give you a nice hem line around the bag. Fold the fabric in half, right sides facing, so the closed end is at the bottom and the top and sides are open. 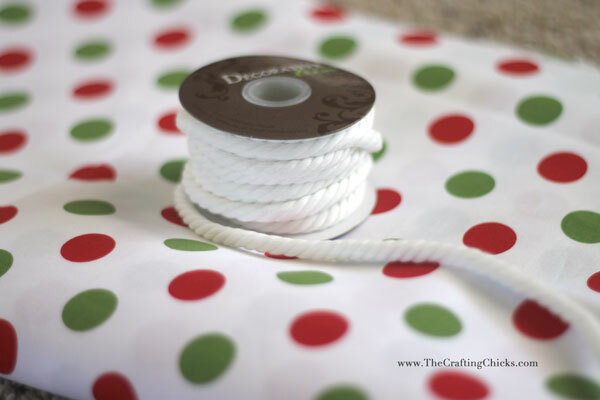 Pin the sides together and sew up each side leaving about an 1″ a the top open for the rope casing on one side. Once each side is stitched up, it’s time to make the casing. Iron the top down 1″ and then sew around the bag following closely to towards the bottom of the bag. Pull your rope through the casing and you are done. 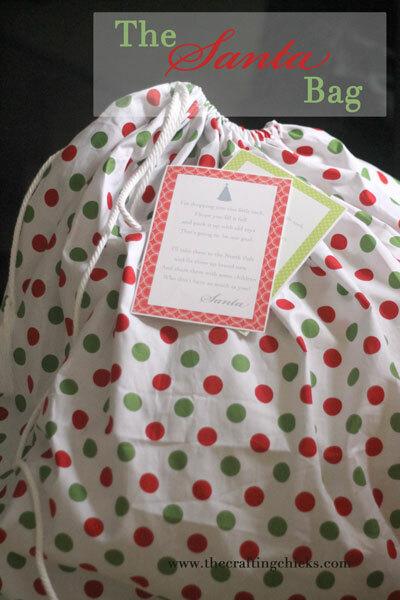 Now I’ve made up these cute printables poems that are a note from Santa telling your kids what they need to do with the bag. You can download them from our site and get your cute kids putting toys in here in no time. 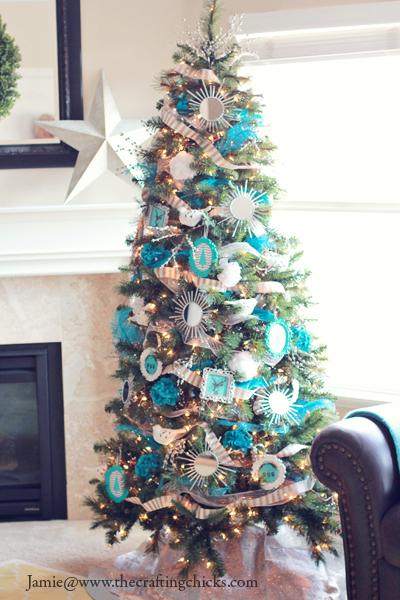 This blue, white and silver tree that they created for the Michael’s Dream Tree Challenge was absolutely stunning!! They included tons of great ideas on making your own ornaments, too! I also love these Polar Express Printables they shared. What a fun way to add a little magic back to your Christmas this year!! 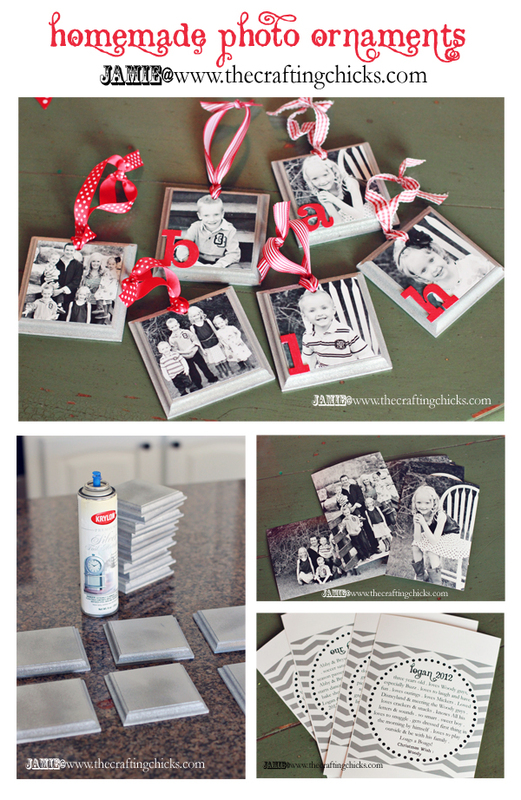 And, this Homemade Photo Ornament Tutorial is perfect for making gifts for the Grandparents or to add to your own tree! it seems a lot of it is popping it up all over the internet without my authorization. Did you possibly make a mistake posting 9-10 yards of rope was needed for the Santa Bag.? 10 yards of rope would be 30 feet. That’s a lot of rope for a drawstring on a bag! This Santa`s bag looks so funny! I like the choice of the textile. I didn`t know that it is that easy to make such bag. I think my kids will be happy to make it together with me, because they like sewing a lot! I love the Santa bag idea. 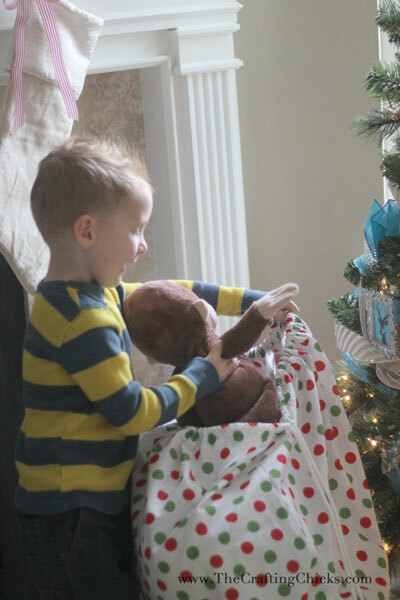 What a great way to recycle toys and teach your kids the true spirit of Christmas. Great idea! BTW, has that Curious George found a new home yet? Ohh this is so creative! I’m definitely trying this out. Great post!